Are Governor Walker’s presidential ambitions hampering progress on the state budget? What will the legislature do if robust revenue numbers are unveiled during budget deliberations? What does the acronym NATO really stand for? The answers to these questions and more can be found here. Edge Messaging, LLC launches a new program today. 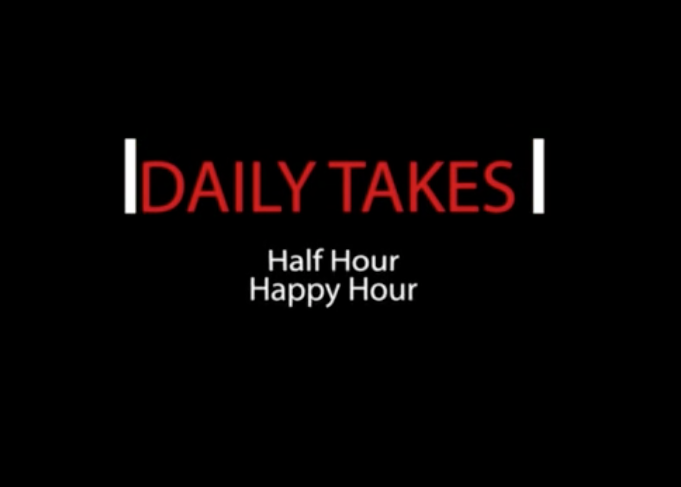 The Dailytakes Half Hour Happy Hour is a weekly, web-based show that is a cocktail of public affairs, politics and more. Each week’s episode includes a newsmaker interview, followed by a fast-paced rundown of current events. This week, State Representative Dale Kooyenga (R-Brookfield) sits in the interview hot seat and Nik Nelson of Open Box Strategies joins Edge Messaging President Brian Fraley for the weekly rundown. If you have a suggestion for future guests or topics, send us an email at staff@edgemessaging.com.